Mike's Inland & Coastal Landscaping. A local San Diego, California based landscape company specializing in design, installation and maintenance of residential and commercial landscapes. 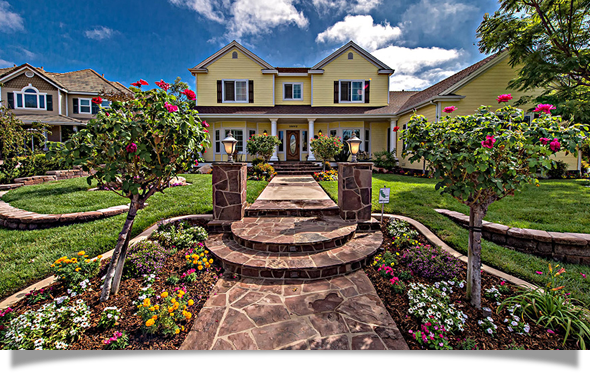 Mike's Inland and Coastal Landscape specializes in the design, installation, and maintenance of custom residential and commercial landscapes that address the unique characteristics of San Diego's climate, soil, and terrain. Our dedicated team is comprised of landscape, design and irrigation specialists who provide quality service and a superior product guaranteed*. "Our goal is to make sure that customer vision matches customer satisfaction." Working closely with property owners, be it residential or commercial, we make sure that our creative vision matches your needs and achieves your goals. Our employees have built and maintained gardens that have been awarded over 50 national, state and local awards since our inception in 1981. Our team is comprised of irrigation specialists, arborists, and landscape technicians who take a comprehensive approach to the care and maintenance of your yard. Our tree specialists know their specimens and are skilled surgeons during tree removal, sculpture, pruning and care.